Unlike other HTML courses, this one is based on a flexible self-study system, so you can take your HTML lessons at your own pace, progressing whenever and wherever it suits you. Theres also a course advisor on hand for support when you need it. 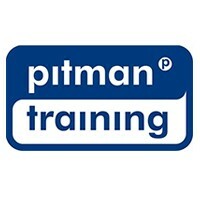 Pitman Trainings HTML training course is split into six simple lessons. It begins with HTML editors and designing a website, goes on to create an HTML file; head, title and body tags, continues with incorporating images and understanding hyperlinks before completing your learning programme with creating tables and adding borders followed by search engine awareness and publishing your site. Entry Requirements Prior to starting this course you will need knowledge of at least one Windows-based application, and experience of the Internet. Carear Path A great course that will give you an introduction into this web programming language. From here you can work towards the position of Web Designer, Web Developer or Graphic Designer.